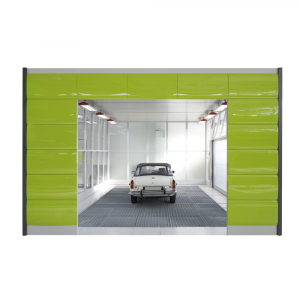 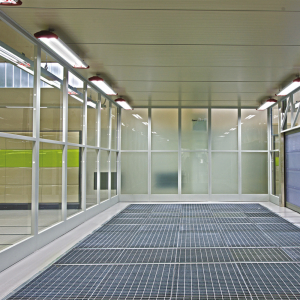 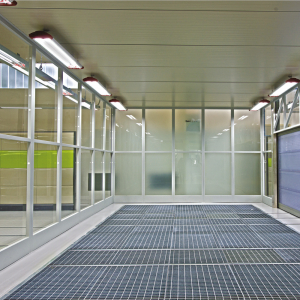 The CarWash is a glass booth available in several different configurations to wash vehicles. 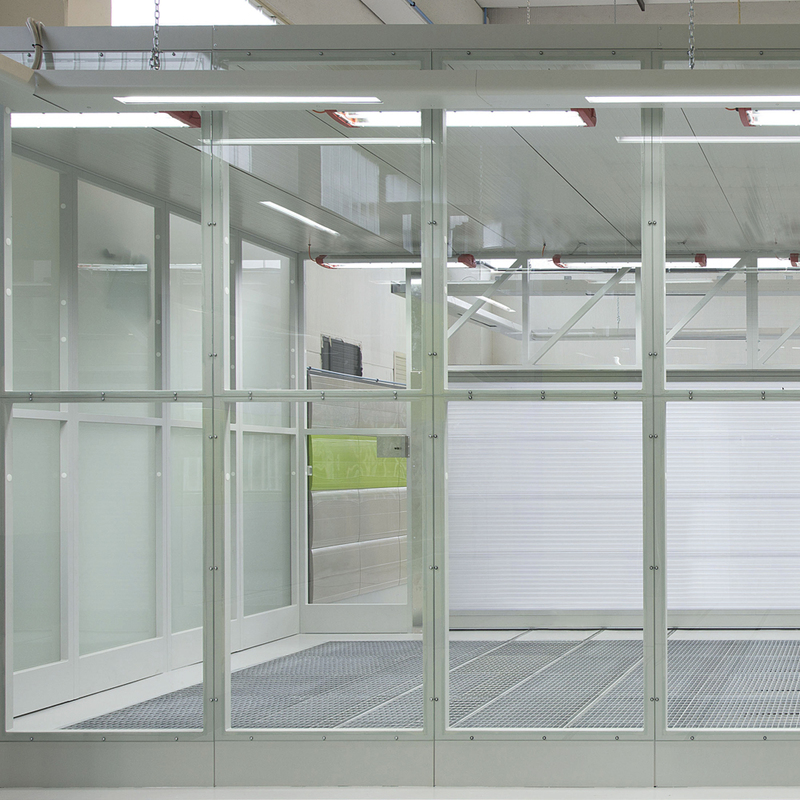 It has glass walls and a ceiling with PowerLight lights for perfect visibility during the final polishing and detailing phase. 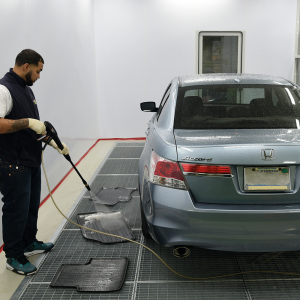 The CarWash allows technicians to wash vehicles inside the body shop without harming the painting process and there is no humidity or water on the shop’s floor. 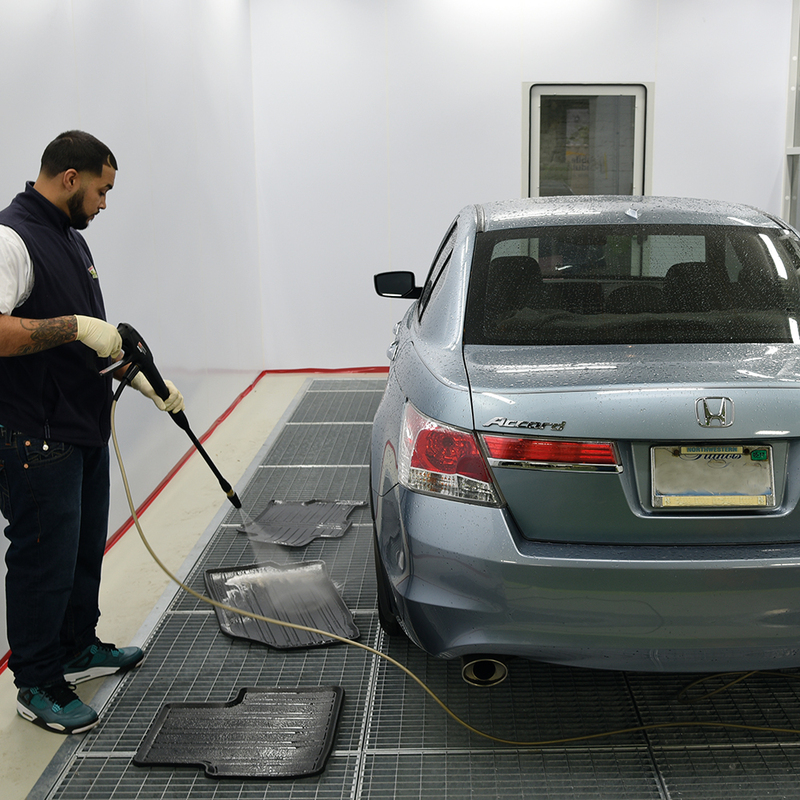 This allows vehicles to be washed inside the facility in a professional way. 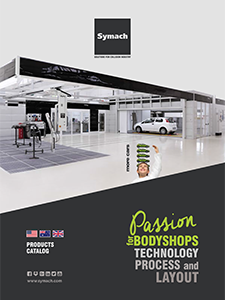 – a centralized vacuum system for detailing. 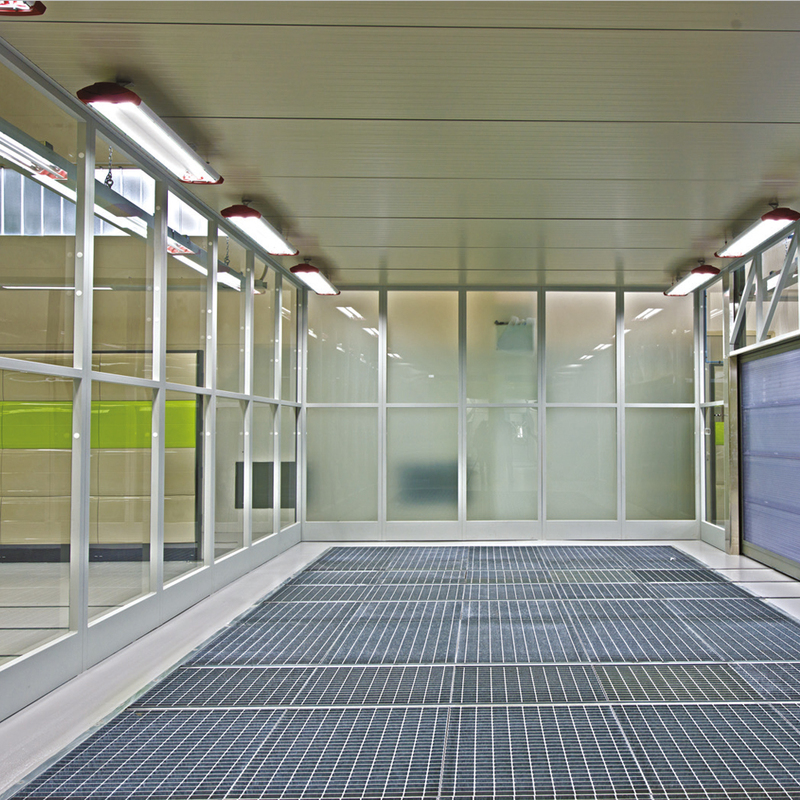 – with rails for moving vehicles using the CarMover. The CarWash has a side frame of welded tubular construction and a tempered glass cover. 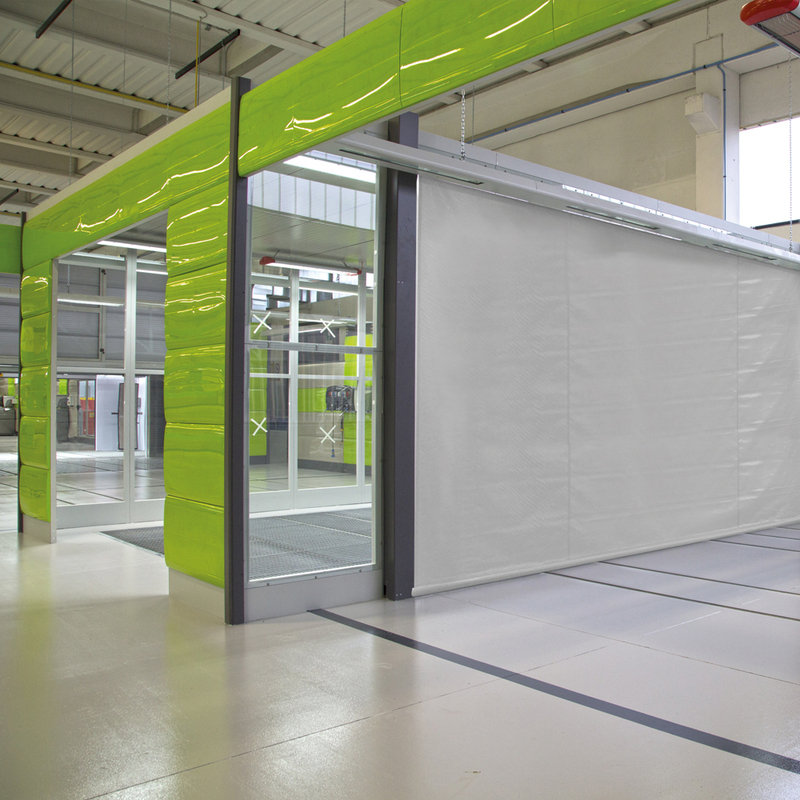 The CarWash doors can be both electric curtains or pneumatic polycarbonate. 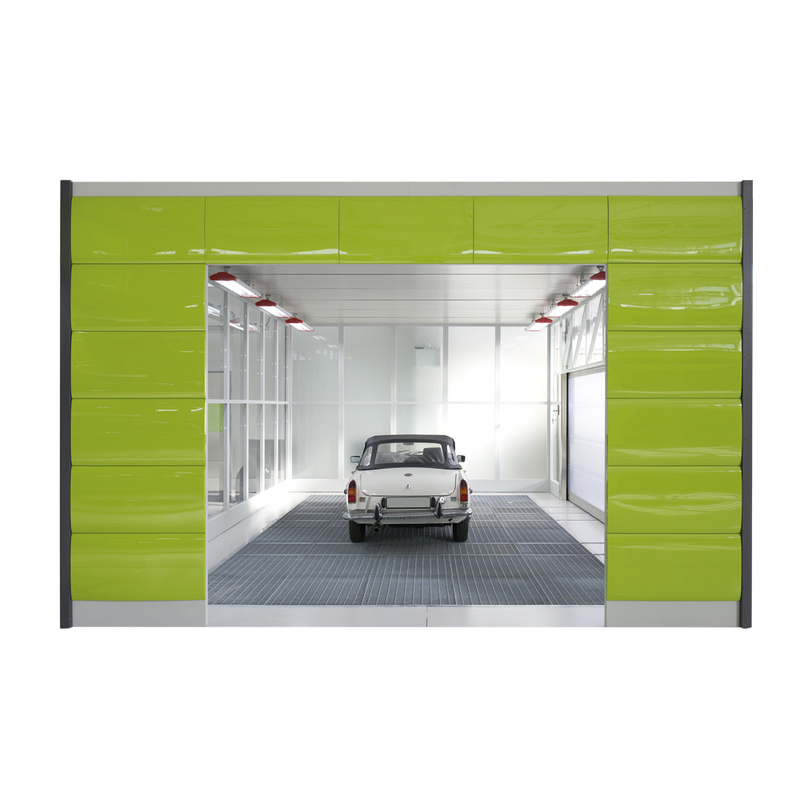 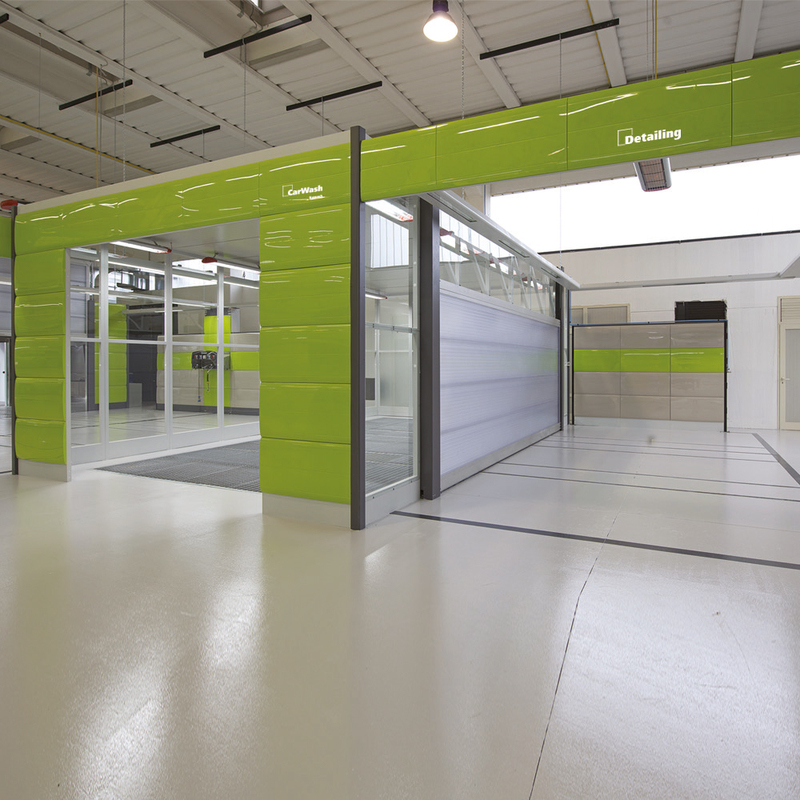 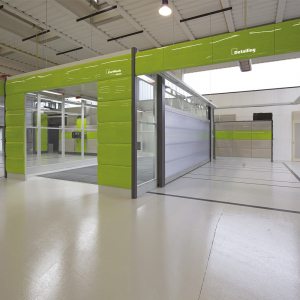 The Car Wash can be configured with doors in front and back of 3 x 2,7 m or 9.84 x 8.85 ft and one or two side doors of 6 x 2,2 m or 19.68 x 7.21 ft. 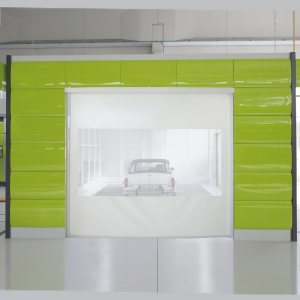 The plenum frame is tubular-welded to support the ceiling panels and the PowerLight lights. The standard floor is made of concrete with a pit for the water in the center of it. The gridded floor is optional.